What you see on the surface in the aftermath of a fire is only the beginning. What lies inside and beneath the surface should be approached with caution and handled correctly in order to recover precious memories, belongings, and valuables. First, the structure must be safe and secure before entering. 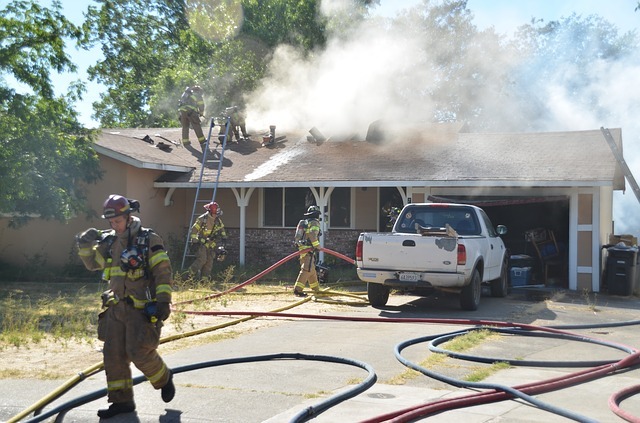 Not only is the property damaged by flames and heat, but firefighters sometimes need to break through walls or the roof in rescue efforts or to create ventilation. Upon entering, the damage needs to be assessed to determine what can be cleaned and saved and what is unsalvageable. In order to do this, you need to know the effects of smoke and soot, as well as the importance of removing all water and moisture created while firefighters worked to extinguish the fire. The cleaning and restoration of property and belongings is not an easy task and if not done knowledgeably, further damage may appear in months and years to come. Purity Cleaning and Restoration Services can guide you through the process beginning with these 5 important facts. The Need to Act Quickly – In coordination with the insurance company and restoration professionals, the property needs to be inspected and assessed. Any opening needs to be boarded up and the property weatherized. Even the delay of a few days can make a difference in whether items can be cleaned and saved or becoming unsalvageable. Water Damage – Water soaked up by carpet, drywall, upholstery, clothes, and other absorbent materials promotes mold, mildew and odor-causing bacteria. If not removed completely it can continue to damage property and affect your health. Smoke and Soot – Both contain harmful chemicals and toxic gases that can penetrate many surfaces and substances finding its way into even the tiniest openings and your HVAC system. Without treating and removing these elements properly, smoke and soot can cause discoloration, warping, rust, corrosion, and severe health issues. Preventing further damage – Attempting to clean, recover, and restore property and belongings on your own may actually spread damage even further if you don’t know where to look and if the proper equipment and cleaning products aren’t used. Restoration can also pose serious health and safety risks if not wearing the appropriate protective gear. Conduct an emergency inspection, then board up and weatherize your property. Complete the drying and dehumidifying process. Remove soot and smoke odor by thermal fogging and ozone treatment. Pack up and clean your personal items by using advanced cleaning methods. Dry, deodorize and disinfect any areas that sustained water damage. Restore and reconstruct, if necessary, your property and return your items to where they belong after restoration is completed. At Purity, we understand the need to respond and act quickly in the aftermath of a fire. You will be guided through the restoration process with compassion and respect while our technicians work diligently to get you and your family back to a normal routine. If you find yourself in need of a fire restoration contractor, call Purity Cleaning and Restoration Services at 406-642-3545. We are available 24 hours a day, 7 days a week.